Nevertheless, Microsoft appears to be developing a stripped-down Windows for those who have never experienced the real thing. According to Petri, Microsoft is developing an OS that’s currently called “Lite” (not Windows Lite, just Lite). And it might not actually be Windows. The target? America’s youth, whose introduction to computing in increasingly in the guise of Google’s Chromebooks. Similarly, Lite would be limited to running Progressive Web Apps and apps released in the Microsoft Store. If this sounds familiar, it could be because Microsoft has made at least two previous attempts at stripped-down versions of Windows: Windows RT and the more recent Windows 10 in S Mode, aka Windows 10 S. In both cases, PC makers and consumers passed them over for Windows 8 and Windows 10, respectively. Isn’t it time to give it up? While I never spent any substantive time with Windows RT, I am a fan of Windows 10 in S Mode. My early tests with the Asus NovaGo showed that Microsoft’s streamlined OS yielded about 90 additional minutes of battery life in a form factor that already pushed north of 12 hours. And as far as being restricted to Microsoft’s Edge browser, I’ve written positively about its efficiency on modern PCs. It should be considered, finally, a worthy competitor to Google’s Chrome. But from what I can tell, users don’t care about any of that—and that’s fine. Windows is about choice, and if a user wants to use Google Chrome over Edge, Firefox, or Opera, they have every right. But I can also understand if both Microsoft and its educational customers want an environment they can manage like Windows, without being Windows. Historically, however, no one seems quite happy with where the line is drawn between the two. Some users can accept that Microsoft wants to limit the number of available apps to those its teams can approve and publish—unless it happens to be the one utility they personally depend on. And gamers have long griped about the heavy compromises demanded by the locked-down Microsoft Store apps. What makes the resistance to Microsoft’s initiatives so frustrating is that I can understand Microsoft’s motivations. Kids don’t care that much about what operating system they use, though they probably would like to use the same operating system they play Fortnite on. There’s no real reason that they can’t use a “school” operating system, then come home to a “home” PC. Is Lite real? We can’t know for sure. But remember, Microsoft’s next-generation Surface Hub 2 will ship in an initial version, then transition to a modular, next-generation “experience”—a good indication that something like Lite is waiting in the wings. Specialised versions of an OS for specialised devices may pass muster for those that buy them. 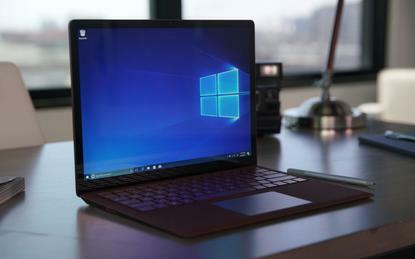 But Microsoft has already bet big on America’s appetite for a slimmed-down operating system to replace the Windows that everyone uses. And it’s already lost twice. Is it worth getting excited about again?